There is nothing better than when we are enlisted to design a ground up renovation, creatively collaborating with the client on every single detail. 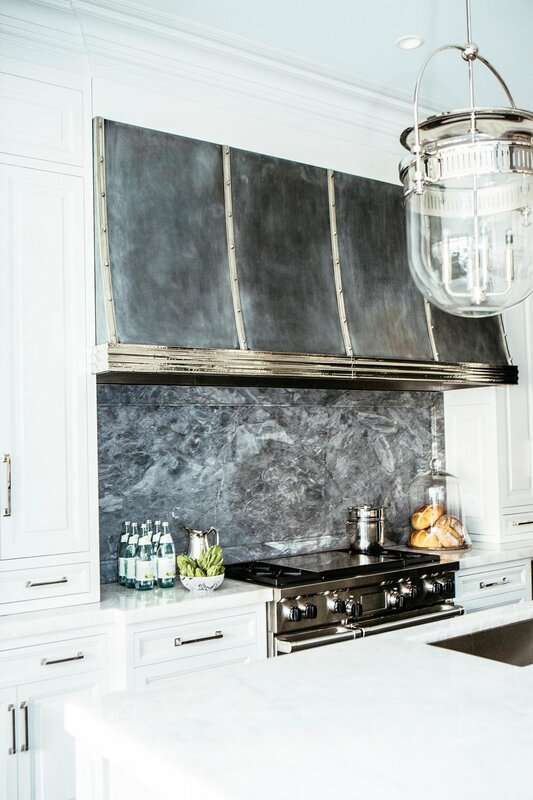 From the large polished nickel custom door knob on the lacquered front door, to the oversized custom zinc and nickel kitchen hood, every detail was accounted for. 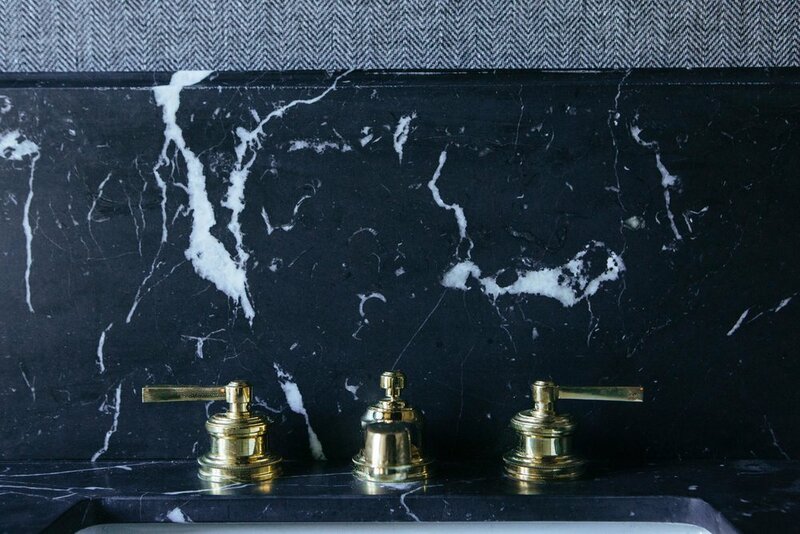 This design savvy client was enamored with the contrast of colors and textures. 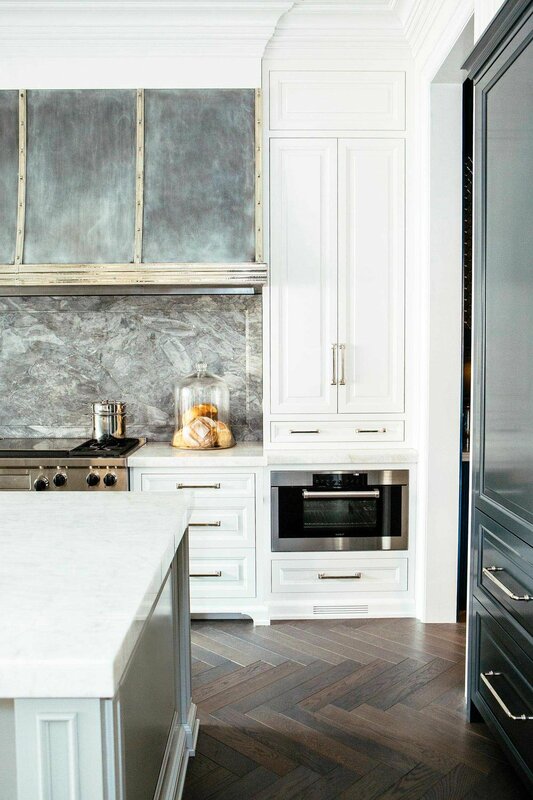 We played up this tension with the addition of moduled stone countertops and nuanced colors and finishes throughout. 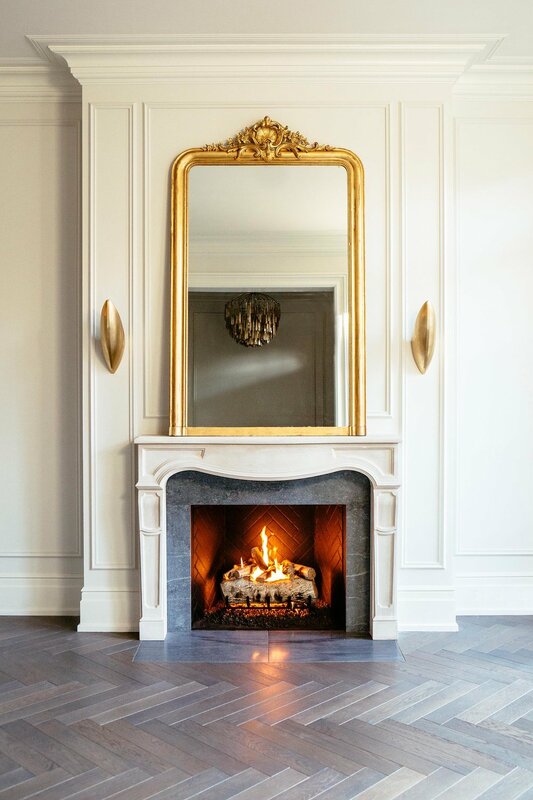 The classic European touches such as molding details and herringbone flooring add substance to the home while maintaining a timeless backdrop for their varied furnishings. The master bath features Machael stone flooring and an extra large shower, with chic functional details like the his-and-her shampoo niches. The childrens' rooms feature en-suite bathrooms and a custom designed bunk bed with shelving and hidden storage. 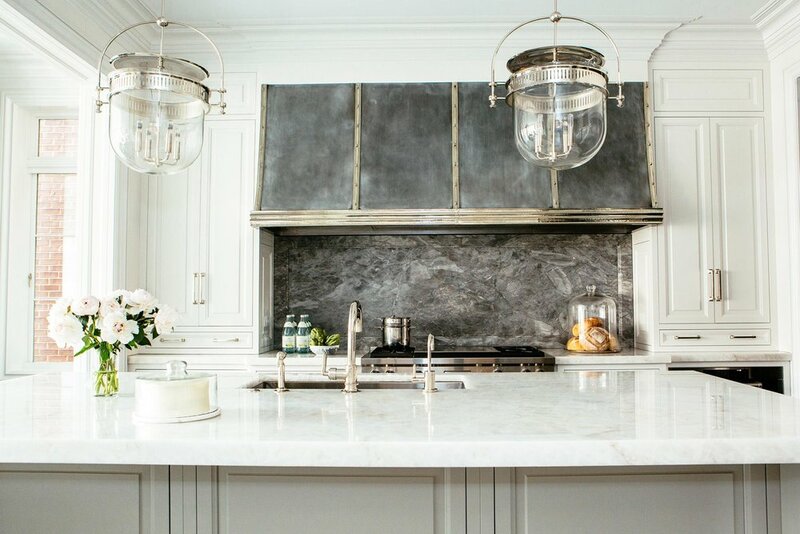 For a family of five who loves to entertain, custom entertainment features like the champagne sink and and lacquered butler’s pantry, are thoughtful additions.